You made it to 2017. Happy New Year! 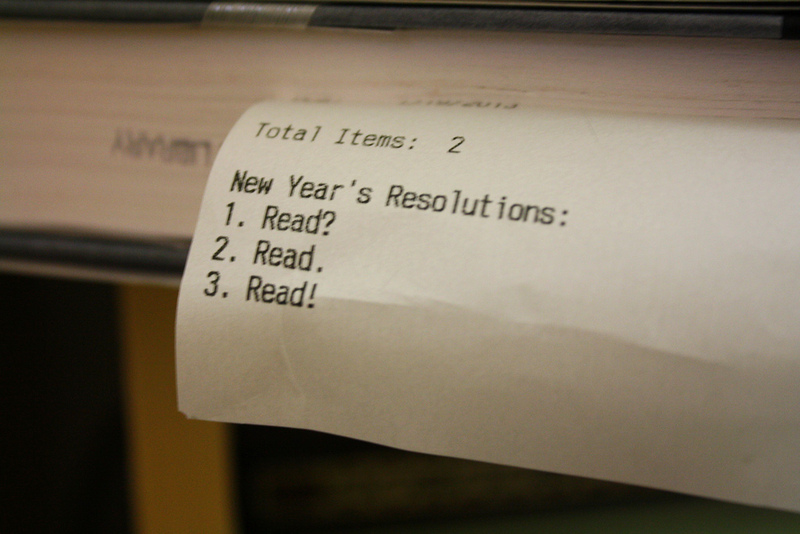 Here are a list of new books to get your January started in the right direction. 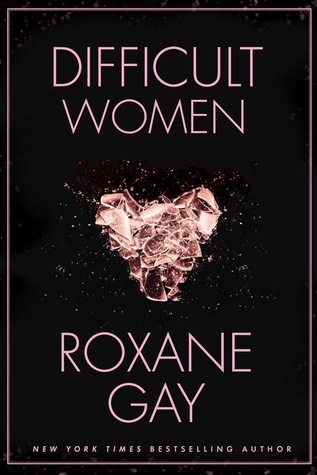 Difficult Women by Roxane Gay (Jan. 3rd; Literary Fiction; Grove Press) – Award-winning author and powerhouse talent Roxane Gay burst onto the scene with An Untamed State and the New York Times bestselling essay collection Bad Feminist (Harper Perennial). Gay returns with Difficult Women, a collection of stories of rare force and beauty, of hardscrabble lives, passionate loves, and quirky and vexed human connection. The women in these stories live lives of privilege and of poverty, are in marriages both loving and haunted by past crimes or emotional blackmail. A pair of sisters, grown now, have been inseparable ever since they were abducted together as children, and must negotiate the elder sister’s marriage. A woman married to a twin pretends not to realize when her husband and his brother impersonate each other. A stripper putting herself through college fends off the advances of an overzealous customer. A black engineer moves to Upper Michigan for a job and faces the malign curiosity of her colleagues and the difficulty of leaving her past behind. From a girls’ fight club to a wealthy subdivision in Florida where neighbors conform, compete, and spy on each other, Gay delivers a wry, beautiful, haunting vision of modern America reminiscent of Merritt Tierce, Jamie Quatro, and Miranda July. Trouble is brewing between the Council of the Dead and the ghostly, half-dead, spiritual, and supernatural community they claim to represent. One too many shady deals have gone down in New York City s streets, and those caught in the crossfire have had enough. It s time for the Council to be brought down this time for good. Passion burns fiercely hot between Ella Ferguson and Kayden Wilkens, the man who held secrets and lies in his hands, and then allowed them to fall into hers. But even though he has become her anchor—helping her recover from amnesia after finding her unconscious in an alley, and allowing her into his secret world—all is not what it seems. 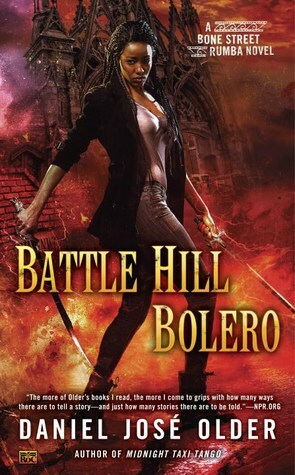 Kayden still has secrets, and pieces of Ella’s past are still shrouded in the darkness of her mind, while the powerful man who hunts her will not stop until she is his. In this final, explosive novel in the Careless Whispers series, Ella discovers that while her life with Kayden didn’t begin in that dark alley…it could easily end there. 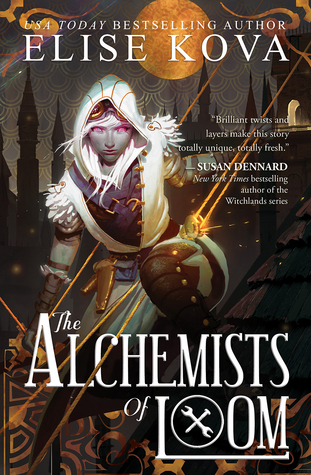 The Alchemists of Loom (Loom Saga #1) by Elise Kova (Jan 10th; YA Fantasy/Steampunk; Keymaster Press) – Her vengeance. His vision. 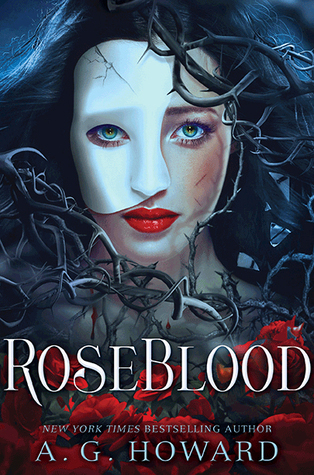 RoseBlood by A. G. Howard (Jan. 10th; YA/Fantasy/Romance; Amulet Books) – In this modern day spin on Leroux’s gothic tale of unrequited love turned to madness, seventeen-year-old Rune Germain has a mysterious affliction linked to her operatic talent, and a horrifying mistake she’s trying to hide. Hoping creative direction will help her, Rune’s mother sends her to a French arts conservatory for her senior year, located in an opera house rumored to have ties to The Phantom of the Opera. 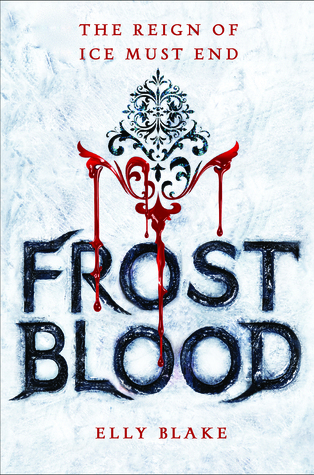 Frostblood (Frostblood Saga #1) by Elly Blake (Jan. 10; YA Fantasy; Little Brown Books for Young Readers) – Seventeen-year-old Ruby is a fireblood who must hide her powers of heat and flame from the cruel frostblood ruling class that wants to destroy all that are left of her kind. So when her mother is killed for protecting her and rebel frostbloods demand her help to kill their rampaging king, she agrees. 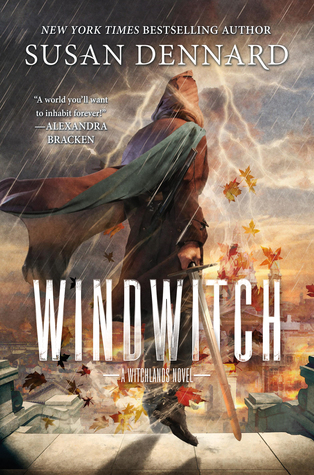 But Ruby’s powers are unpredictable, and she’s not sure she’s willing to let the rebels and an infuriating (yet irresistible) young man called Arcus use her as their weapon. 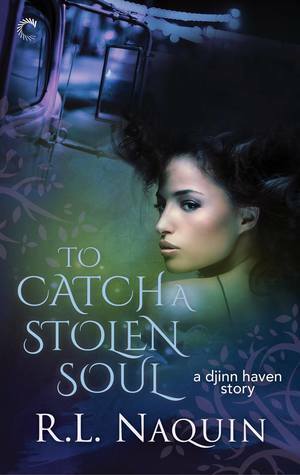 To Catch a Stolen Soul (Djinn Haven #1) by R. L. Naquin (Jan 9th; Urban Fantasy) – Kam is a soul chaser for the Hidden Government, a much harder job now that the Hidden look like everyone else. 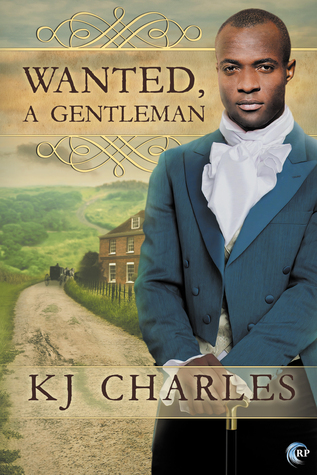 Broke, out of magic and sick of playing waitress in a pirate-themed dive bar, Kam jumps at a chance for an out-of-town mission. A reaper—and his loaded soul stone—have gone missing. The stone contains souls that might get permanently stuck if Kam doesn’t find it, like, yesterday. She tracks the reaper down to a food truck outside Kansas City, only to find a dead reaper and no soul stone in sight. Which means that someone who should be dead killed the reaper and is running around with a powerful magic item. Not good. 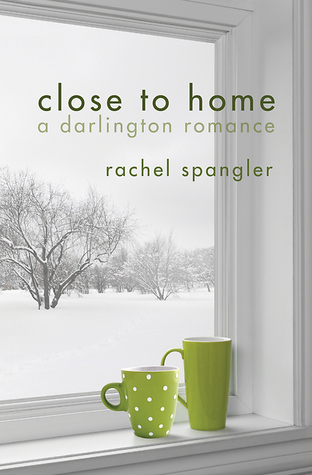 Closer to Home (Darlington Romances) by Rachel Spangler (Jan. 10th; Contemporary Romance; Bywater Books) – Kelly Rolen is a CPA—she’s smart, she’s focused, and she’s worked hard to build an orderly career and a respectable life in her hometown of Darlington, Illinois. Everything is precisely as it should be. Well, it is until her father suffers a debilitating stroke during the busiest time of her year—tax season. Suddenly, Kelly finds herself overworked, exhausted, behind schedule, and forced to hire an intern to meet her deadlines. Elliot Garza is young and brash, but she’s also a talented accounting student who is charismatic, driven, and solely focused on completing her internship so she can escape from the bleak Midwestern town to Washington, DC and her dream job. She knows she has the professional skills necessary to do the job well, but she is less certain about her ability to handle her beautiful, prickly, demanding, and compelling new boss. In this fresh new romance from one of the genre’s top young authors, will Kelly’s past and Elliot’s future add up to something greater than the sum of their escalating attraction, or will the answer to their equation end up hitting too close to home?